Many of you probably know that I run a writing critique group called the East End Writers’ Group. It’s been going for almost 17 years. This month on June 28 we are holding a special presentation to showcase some of our members’ talents. And many of us are going beyond doing author readings. Of course we will have some of that. But we will also have photography combined with memoir, a how to from pitching your story to a magazine to publication, a songwriting/singing presentation, and a comedy skit where book characters run wild. We are also holding a short writing critique sample so people can see just what we usually do and participate. The whole event is free and is open to the public, so not only just to writers. We are doing this presentation in partnership with East End Arts and the Toronto Public Library, specifically the S. Walter Stewart branch where we meet once a month except for August and December. You can read more about East End Writers’ Group on my website. Without further ado, here is more specific info including an introduction to some of our presenters. The rest will be in next week’s post. Sharon A. Crawford welcomes all briefly and starts introducing the performers. Paola Ferrante reads her short story “Cold Hands” which appears in the current issue of Minola Review. Event co-host Nishe Catherine will read her short memoir “Selena” which was shortlisted in Malahat Review’s Creative Non-fiction contest. Nishe Catherine takes over the MCing. Gail Murray will talk about writing to submission calls and will read her story “Summer in the Sandbanks” from More of Our Canada. Sharon A. Crawford and Shane Joseph perform a comedy skit featuring characters from their books who collide with real life and each other. Lee Parpart talks about small press publishing and reads three recent poems. Nick Nanos does a musical performance and talks about songwriting. 9 p.m. to 9.30 p.m.. More chatting, nibblies and checking out and perhaps buying a book or photograph. More info on these and the other presenters are on the event website created by Lee Parpart. Of course you get a peek at the others too. But I’ll still feature the rest of us in next week’s post. Meantime check out the event’s Facebook page also created by Lee. S. Walter Stewart Library (auditorium), 170 Memorial Park Ave., in the East York part of Toronto, Ontario, Canada. If you are in the area please join us on Wednesday, June 28. The readings are being held by the Canadian Authors Association Toronto Branch. This branch has been shall we say “sleeping” the past couple of years, but now branch president Chris Canniff has kick-started it with this author reading which is open to the public. The Canadian Authors Association has been around for close to 100 years. It was started in 1921 by some prominent Canadian authors, including Canadian humorist, Stephen Leacock. It’s focus has been and still is “writers helping writers”, which it does in many ways. These include work with copyright issues for writers, establishing literary awards including the annual CAA Literary Awards for non fiction, fiction, poetry, and drama. CAA also came up with the first book contract between authors and publishers. And, oh yeah, members are both published and non-published authors.CAA has branches right across Canada. Some of these branches have a Writer in Residence. 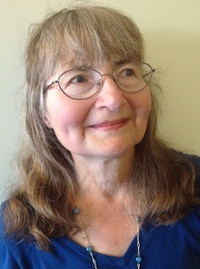 Vancouver branch’s WiR is well-known poet, editor, and short fiction author Bernice Lever. Bernice used to live in my neck of the woods and she was one of my mentors. She used to run a writing critique group in Richmond Hill, just north of Toronto. When I lived in the area, I attended it. Bernice inspired me to start my East End Writers’ Critique group in September 2000 and EEWG is loosely based on the Richmond Hill group. I, too, had the honour of being Writer in Residence for the CAA – the Toronto branch, from 2001 to 2003, and then again from 2009 to 2015, although the current Toronto branch website still has me listed as WiR. The website is to be updated shortly. You can check out more about the Canadian Authors Association here. There are links to the branches and much more information. As for the Toronto branches Authors Reading evening, here is the “dirt” according to Chris Canniff and a link to the CAA Toronto Facebook page. And you don’t have to be a CAA member to read at this event, but if you are in the area you can drop in to meet us. “We want your stories! The Canadian Authors Association Toronto Branch is having a meeting on Tuesday, April 4 at 6:15pm and we want you to come prepared to read, or come to listen to what others are writing. Event details are below Bring your best work, or a work in progress! Please RSVP to president@canauthorstoronto.org to sign up for a reading. Readings are generally 3-5 minutes long, but that can be extended depending upon the number of readers. Beverley Burgess Bell, who hosts an Oakville Writers Group, will be moderating. Come out, bring a friend, and help us make this meeting a success. We look forward to seeing you there! Check out our new Facebook page, at > https://www.facebook.com/CanadianAuthorsAssociationTorontoBranch/ And our soon-to-be-updated website www.canauthorstoronto.org Event Details: What: Member Reading. Non-Members are also welcome to attendd, but all members and non-members should RSVP. Non-members are encouraged to consider membership! And if you click on the Beyond book icon at the top it will take you to more info about my books. Are librarians to be made redundant? I am a big fan of librarians. In all my years of using the library (since I was 12, back in the grey ages, the early 1960s), I have received all kinds of help from librarians from finding books to other research to daily living. Now, the Toronto Public Library Board is starting a pilot project in the cities two smallest library branches – Todmorden in the east and Swansea in the west. The project would extend the hours the libraries are open. But there is a big catch. There will be no librarians present. If you need to contact a librarian, it will all be by video. And no security guards, so good luck if some crime is committed. Video cameras may catch it, but with no staff person present in the library, good luck. A City TV news story describes the situation, including listing the crimes that have been committed in the last year or so in various branches. You will notice we are not talking about stealing books in this story here. The librarian union head, Maureen O’Reilly, is interviewed in the story. Ms. Reilly also emailed out petitions, copies to go to the city’s mayor and the signer’s local councillor. You bet I clicked on the email and went to the page with the petition letter. The letter also had space for alterations/additions to content and so I added a short summary of how l have always used libraries and how as a writer and reader the librarians have helped me.One example I gave was one of the librarians at the S. Walter Stewart Branch was instrumental in getting my East End Writers’ Group (a writing critique group, see my website for more info on EEWG) to meet there at no cost to us – we are now partners with the branch and part of their programs. Interestingly, this branch is the first library branch I started going to as a child of 12 – when the new big branch first opened. Except for the 23 years I lived in Aurora, S. Walter Stewart has been and still is my library branch. And yes, when in Aurora I was a regular patron of the Aurora Library where one of the librarians (who became a friend) helped me with some health information when I was still a journalist – getting me set up on data bases to check out the information. This was in the early 1990s before a lot of this info was available on line. But I still go to the librarians in person for info, to teach writing workshops and courses, for presentations with my Beyond mystery books – with or without other authors. And on a more personal note – when my son was a toddler and driving me nuts in the Aurora Public Library, the head librarian quietly called me over and spoke to me. Not to tell me to get my son to shut up. She was concerned with me, with my getting frazzled, etc. by being a young mother. The librarian suggested we take a break one day soon and go to lunch. And we did. Meantime, the librarian at S.Walter Stewart helps me with PR for our EEWG meetings and also when we have guest speakers and do presentations. Perhaps one of the biggest clarification of that is a few years ago after EEWG celebrated its 13 anniversary with a presentation in the library auditorium, after the presentation a few of us went out to a nearby pub to chat and grab a drink and some food. This librarian and her husband came along, too. I can’t even fathom doing workshops or courses at a library branch with no librarian present (although the two in the pilot project don’t have the room for this). I am constantly asking questions and asking for help in workshop setup. Sure, some is done by email and phone, but not all, especially when I show up. What would happen if problems occurred with a workshop? And if there are no librarians present, who sets up the room, including bringing in and setting up any AV and computer equipment? This is all very short-sighted and stupid by the City of Toronto and the library board. If they are trying to save some bucks and increase library open hours, the flip side doesn’t work. Librarians will be out of work and we the librarian patrons will be worse off for it. Here, the end doesn’t justify the means, especially as the end is questionable. If you want to read more about this situation just Google “Toronto public library no staff at Todmorden” and you will get a long list. I hear this situation is happening in a few other places too. Is this the price of progress? If so, turn the time back to the 1990s. And if I sound like a curmudgeon, so be it. What do you think of this situation? And yes, copies of my Beyond books are in some of the public library branches Toronto and York Region (latter includes Aurora). For those outside these area, you can check out my Beyond books by clicking here.